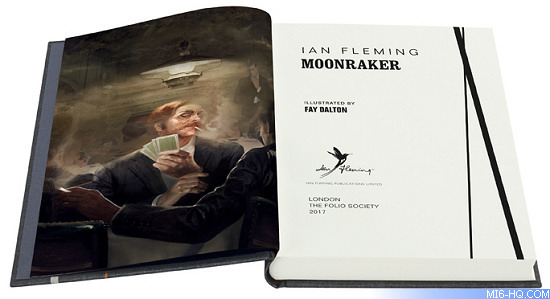 The Folio Society's edition of Fleming’s third 007 novel features stunning artwork by Fay Dalton which depicts the formidable Moonraker, the disfigured face of one of Fleming’s most convincing villains, and a Bond girl whose beauty is matched by her tenacity and wit. Gala Brand is a dedicated policewoman, and her relationship with Bond is more nuanced than is often the case in the 007 novels. This leads to a moving closing scene that gives a rare glimpse of the occasionally vulnerable man behind the dauntless secret agent. Set solely in London and on the Kentish coast, this unusual Bond novel sets death-defying feats against a backdrop of intense, finely tuned suspense. This begins with the tense game of bridge which sees Bond duping the cheating Drax, a scene described by Susan Hill as ‘the finest thing Fleming ever wrote’. 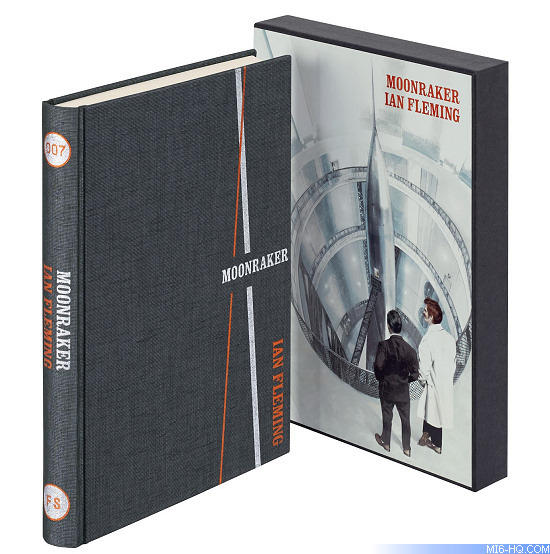 The drama in 'Moonraker' is as gripping and visceral as ever, but it’s all the more compelling for the almost eerie stillness of the build-up, in which an increasingly uneasy Bond tries to decipher the ‘nightmare’ signs of impending doom. The minimalist binding design echoes the Folio editions of Casino Royale, From Russia with Love and Dr No. 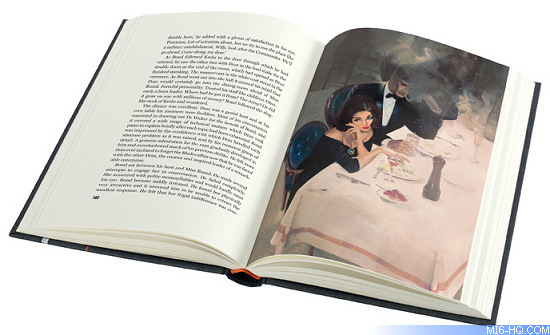 All are enriched by Dalton’s seductive illustrations, with their blend of glamour, intimacy and action.